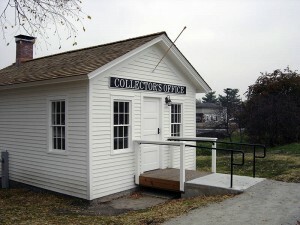 The only I&M Canal toll house in existence, The Ottawa Office offers a unique glimpse of what life was like in the 1800’s. 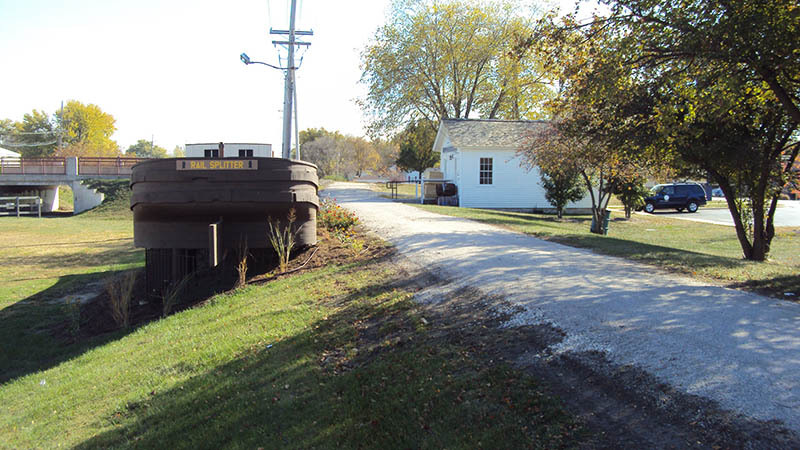 As only one of four stops for the collection of tolls, these houses once stood in LaSalle, Lockport and Chicago with the LaSalle office closing in 1876. It is believed from records of payments and other data that Albert F. Dow, the first toll collector in Ottawa, built the toll house in 1849, most likely building it during his first year as collector. The canal commissioners paid him rent for the building besides his salary. Rent payments to him stopped when Albert was promoted to Collector at Chicago in 1871. The building is 16’ x 24’. It was moved approximately 14 feet south some time before 1935 and then to its current location in 2004. This is 55 feet west of that location to provide a proper setback from Columbus Street. There were 7 different toll collectors during the time it was actively used for collecting tolls from 1848 to 1926. 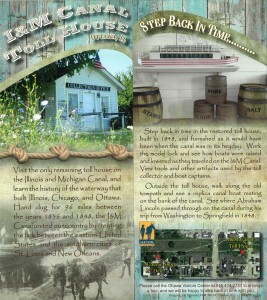 It was still listed in city directories as the “I&M Canal Collector’s Office” until 1935. Come tour this part of America’s history. 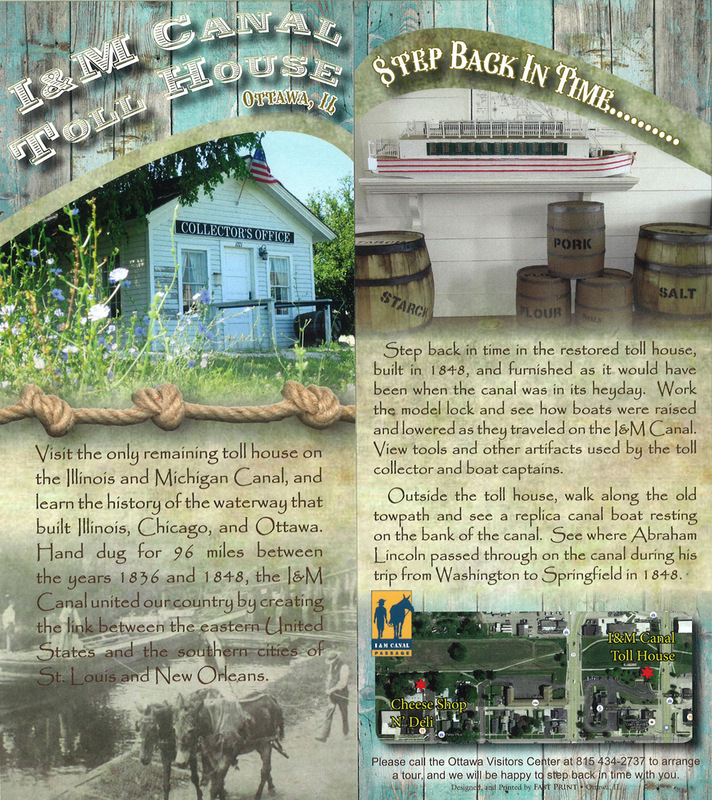 Learn the “Lincoln Connection” and of his business and travels along the Canal. See the ‘rope bed’ where nap’s were considered comfortable and view the actual toll log book still in existence today. Photographs and stories from your tour guide will take you back in time to the Lincoln era and when luxury transportation was a boat pulled at four mph by a mule!